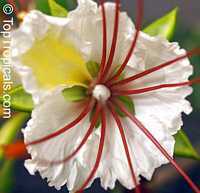 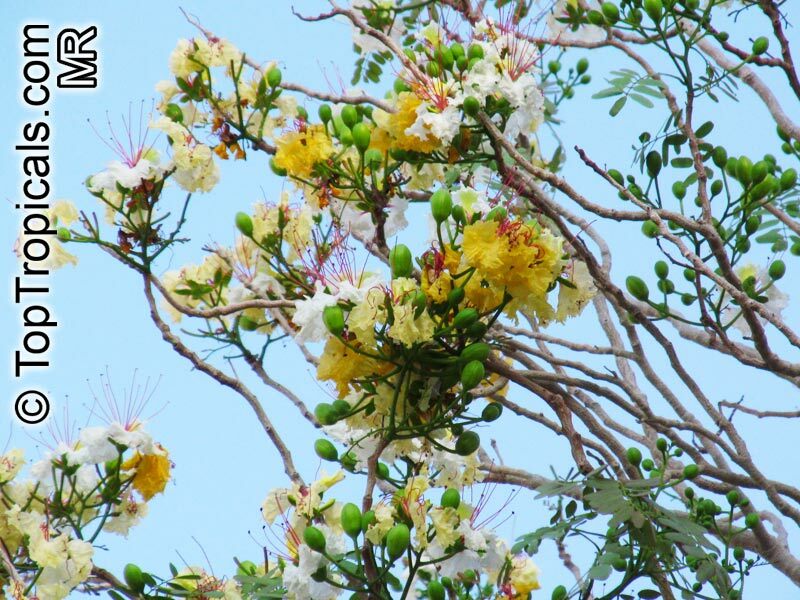 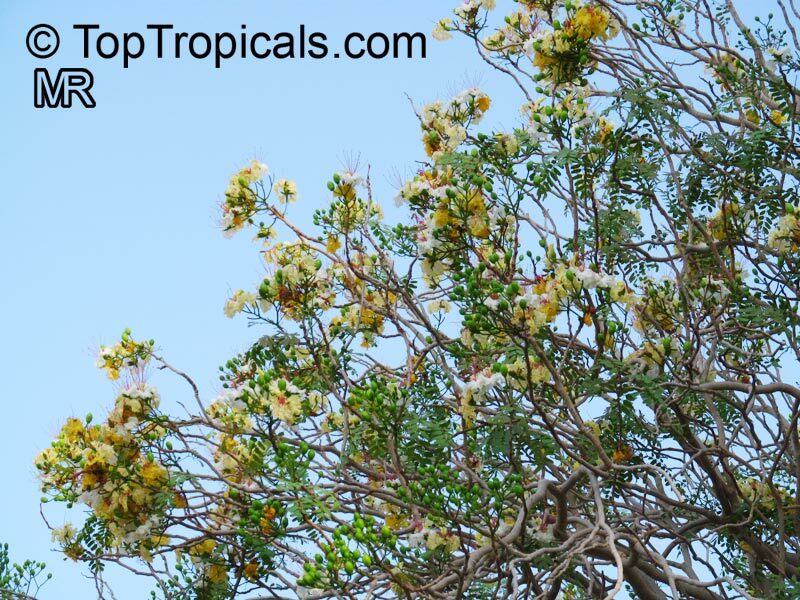 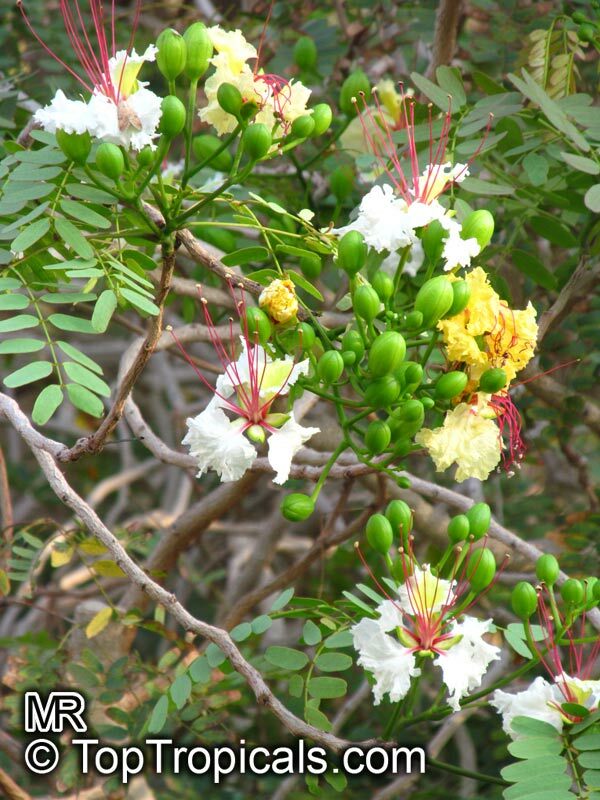 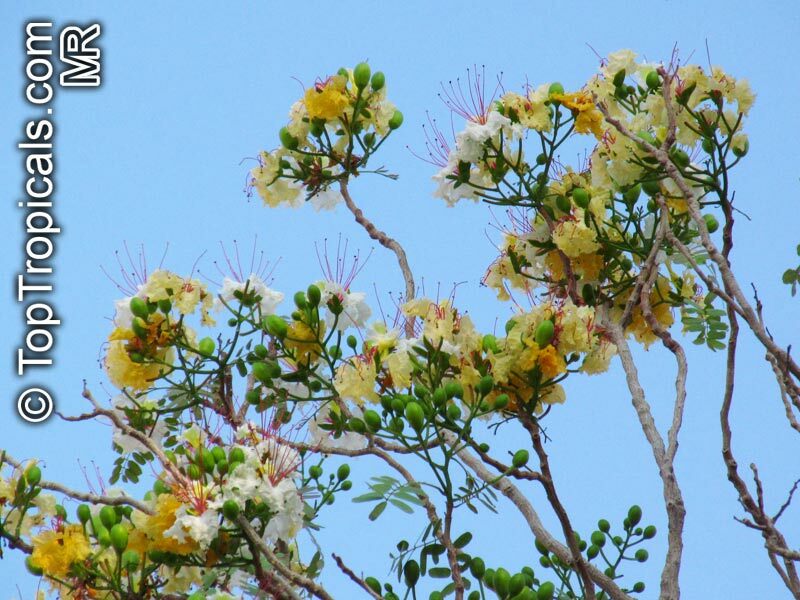 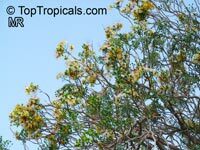 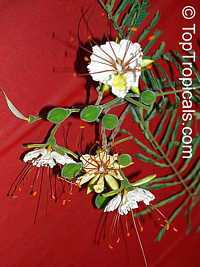 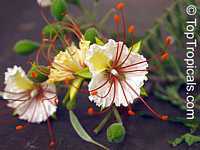 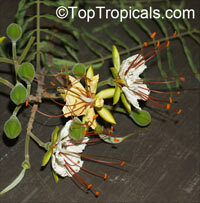 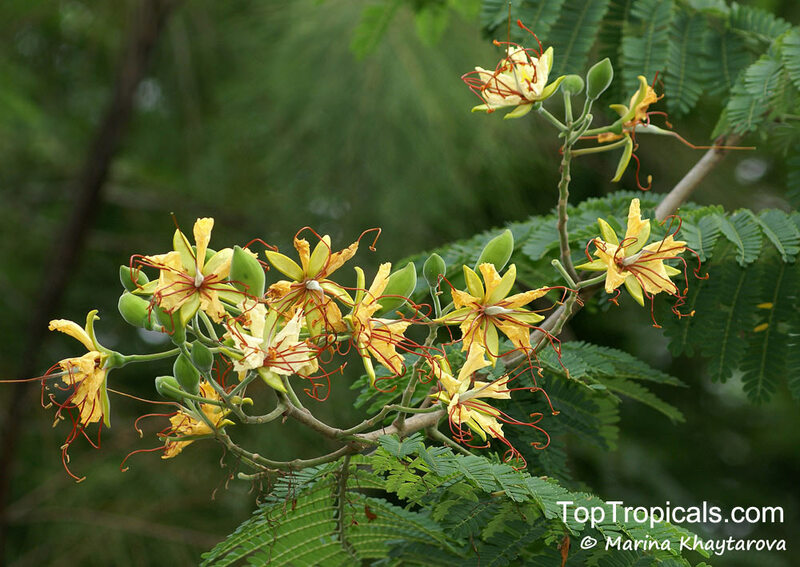 Endemic to India, this is a 20-25 ft tall tree, with white fragrant flowers. 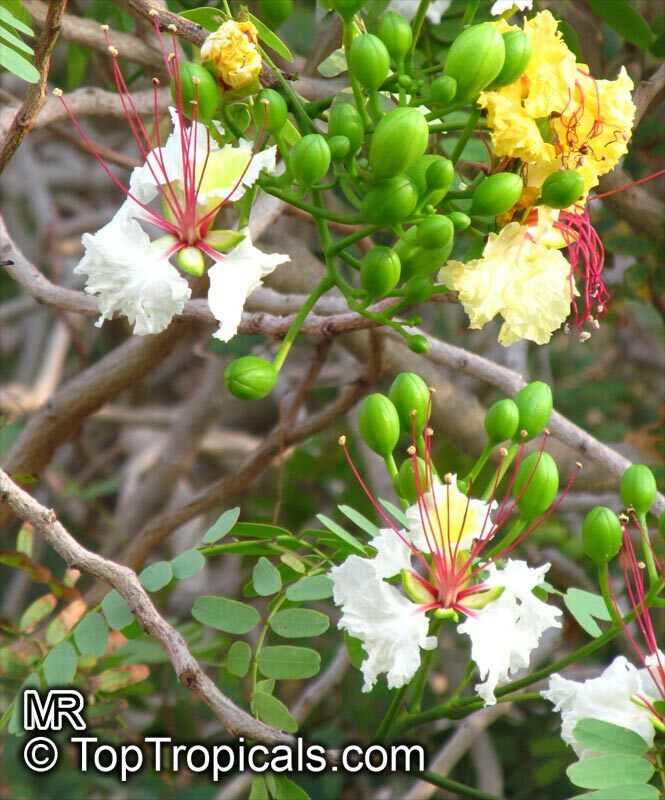 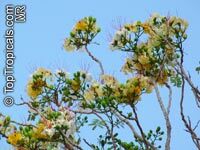 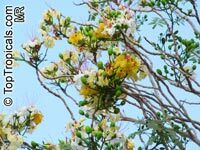 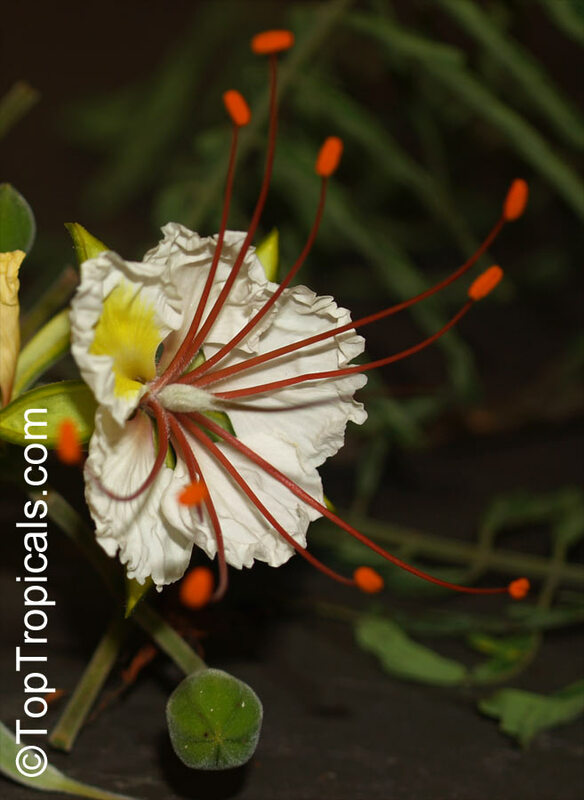 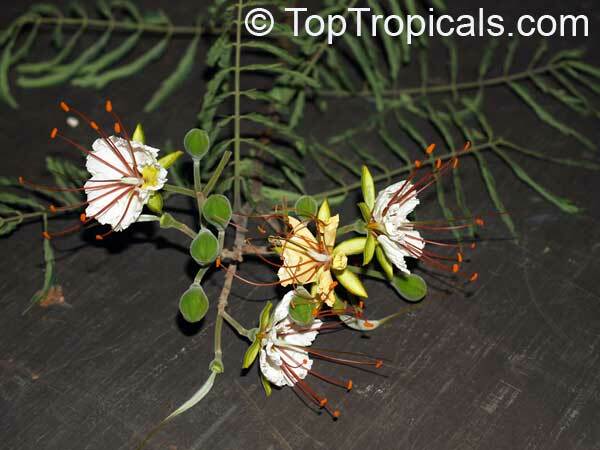 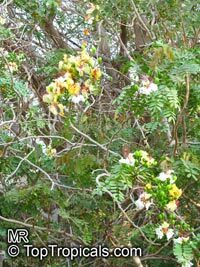 This rare tree is a close relative of popular Delonix regia and has similar growth habit and characteristics, but flowers are white. 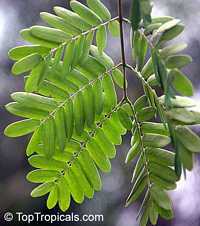 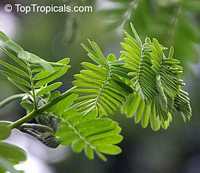 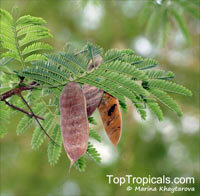 In India it has medicinal use: leaves are used as febrifuge, antiperiodic, antirheumatic and stimulant. 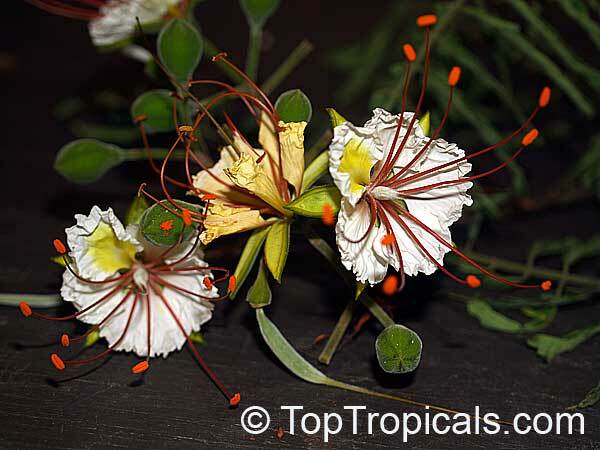 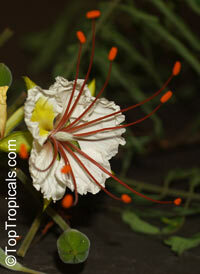 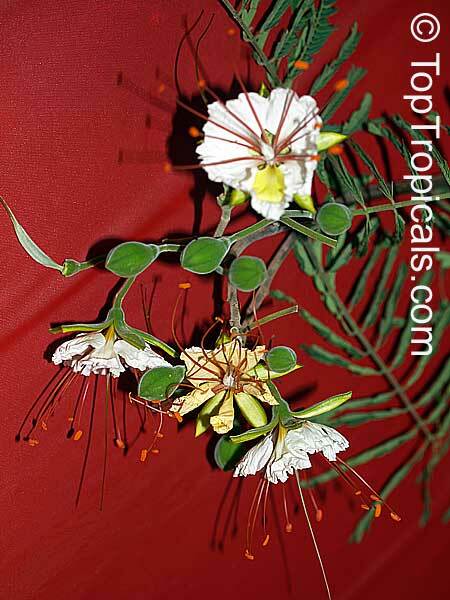 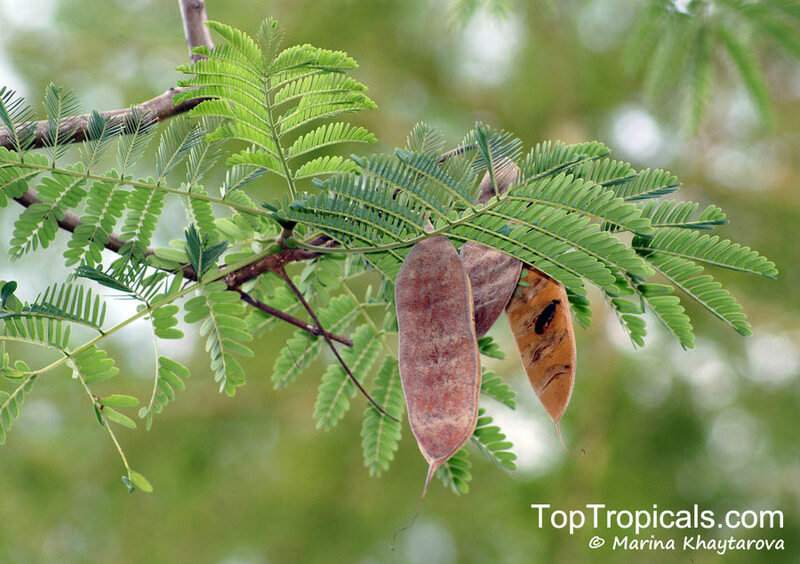 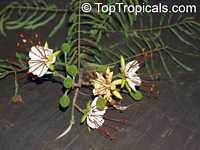 White Poinciana - very rare! 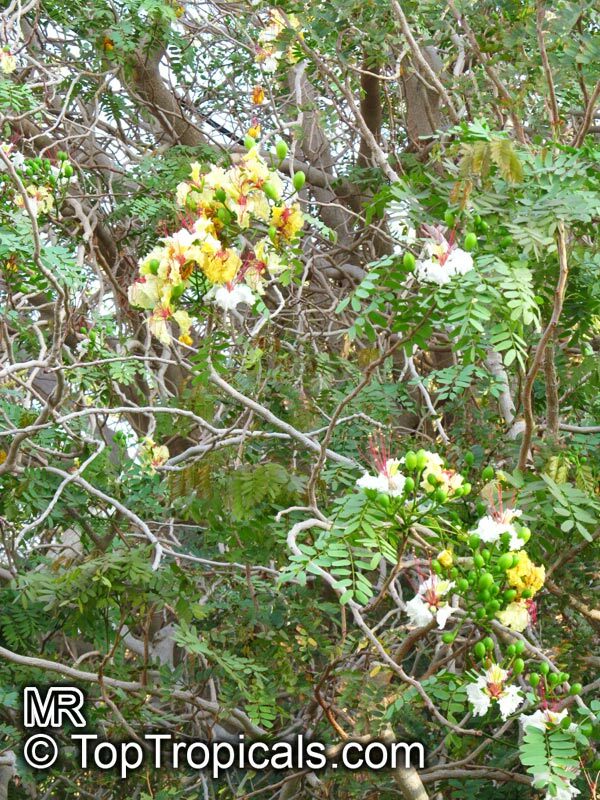 Endemic to India, this is a 20-25 ft tall tree, with white fragrant flowers. 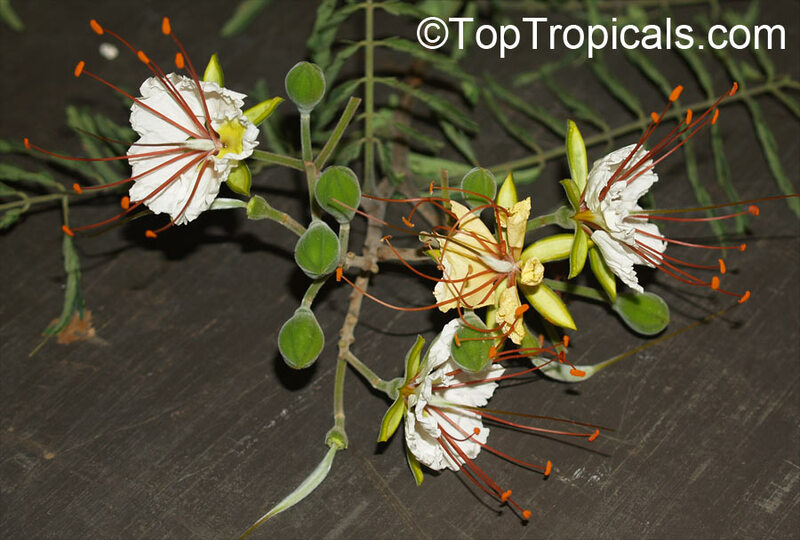 This rare tree is a close relative of popular Delonix regia and has similar growth habit and characteristics, but flowers are white. In India it has medicinal use: leaves are used as febrifuge, antiperiodic, antirheumatic and stimulant.This item is certified for shipping to California.